At JAN Lighting Solutions, we know that the most successful projects start with a good relationship. We appreciate that every customer and every project has its own goals, targets and challenges. Every JAN Lighting Solutions project is accomplished using our custom-developed four-part process. This allows us to tune into your business and your lighting objectives. It means we can add value every step of the way. Applying world-class technologies that are tried and tested to give you the most powerful outcomes. The process begins with a visit to your site. We evaluate your current lighting system and then we create a plan with the lighting products best suited to your individual needs….a plan to reduce power consumption and improve the quality of light in your facility. A computer model is the basis of the plan generated using AGI32 software to deliver a photometric analysis that specifically addresses the required LUX or Foot Candles and Distribution for the application. Our experienced lighting designer specialists will guide you through the process of choosing and installing the perfect upgrade for your specific location. Then our highly trained and supervised labor force will install your new Lighting System with the least interruption of YOUR schedule and operations. Standard Warranty for all of our products is 5 years with optional extension available. JAN Lighting Solutions provides tailored services, from a simple analysis of existing plans to a full lighting design, complete with fixture and retrofit specifications using the top names in LED Lighting Design. An introduction to Linmore LED Labs. Linmore LED Labs Lighting for Car Dealerships. NLS LED Lighting – Car Dealership Application. Learn More about NLS Lighting. NLS Savannah Series LED Lighting for Pedestrian Walkways. GigaTera LED Lighting for Outdoor Tennis Courts. We don’t follow the rest of the LED pack, but rather Go Our Own Way. We believe you should consider our USA Made, DOT LED Roadway Retrofit Lamp over entirely new Roadway luminaires to reduce overall cost. 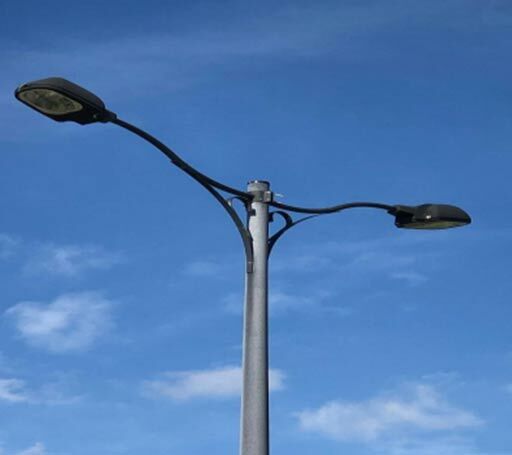 Typically, the only need for new LED Roadway luminaires is when the existing ones are falling apart, look old, or are not compatible with a LED retrofit-kit inside your existing lighting fixtures. By converting to our DOT LED lamps, you will gain all of the same benefits a new LED Roadway fixture offers, with a reduction in cost. Not only is it up to 50% cheaper, but the installation time is faster! The new LED light ideally replaces high-pressure sodium lamps of up to 400 watts, and can offer a fast payback. 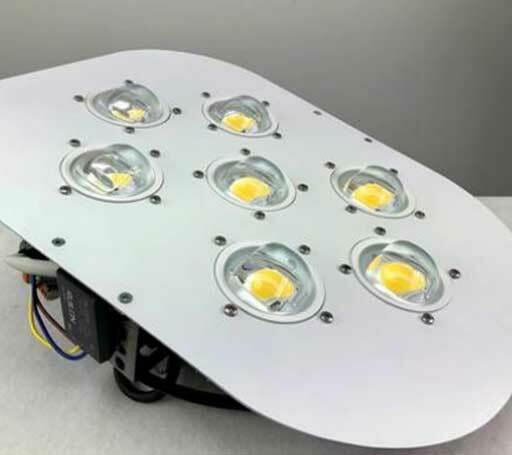 We can custom design the Retrofit Kit for just about any existing HPS Roadway Luminaire.